It’s the start of another ah-MAY-zing week! 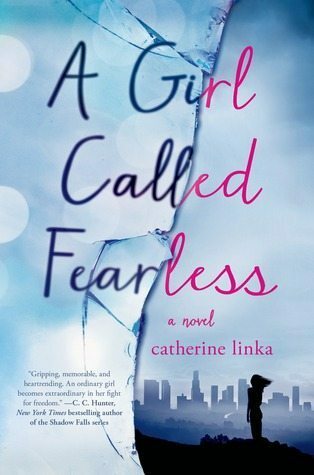 This lovely Monday, we have with us Catherine Linka, debut author of A Girl Called Fearless, which was released earlier this month! She’ll be sharing her Story Soundtrack- I hope y’all give it a listen! In an alternative, present day LA, Avie must decide whether to submit to an arranged marriage or run for freedom in Canada. This song captures the soul of the story. Avie can’t give up no matter how lost or scared or desperate she is. The only way to survive is to be fearless and try. This song reminds me of a scene with Avie and Yates driving on a dark road in the mountains. This country western song captures the place and Avie’s contemplation of whether she will survive near the end of the book. To me this really conveys how when all seems lost at the very end, Avie keeps going. I included this, because this is the song I’m listening to as I write the sequel. Imagine the worst thing that can happen to Avie. Yes, that’s right. I feel that Avie is such a strong character, from all these songs! 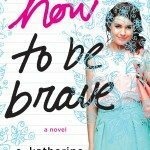 I truly cannot wait to meet her and read A Girl Called Fearless! Thanks for allowing us to glimpse your book’s playlist, Catherine! 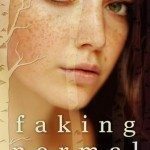 Book nerds, if you enjoyed this post, you definitely should add A Girl Called Fearless to your to-read shelves! 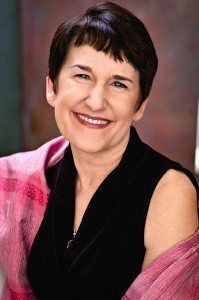 Catherine Linka was almost thrown out of boarding school for being “too verbal.” Fortunately, she learned to channel her outspokenness and creative energy into writing. She is the author of the romantic spec fiction thriller, A GIRL CALLED FEARLESS. Catherine has traveled to such out of the way places as the Arctic circle, Iceland, and the Amazon, and her personal goals include seeing penguins and orcas in the wild. She doesn’t believe in fate, but she did fall in love with her husband on their first date when he laced up her boots after she broke her hand. Favourite stories: Right now I’m totally in love with LOVE AND OTHER FOREIGN WORDS by Erin McCahan. Adorable, romantic, funny. I also love the hauntingly beautiful THERE WILL COME A TIME by Carrie Arcos about how we survive loss. And waiting by my bed right now is an advance copy of Scott Westerfeld’s new book AFTERWORLDS!! 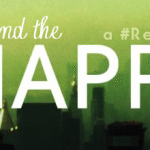 Find Catherine on her Website / Twitter / Facebook / Tumblr / Goodreads! I am a huge fan of The Band Perry and love their song If I Die Young a lot. It has spoken to me in so many different ways. I have felt these sorts of feelings before when I thought I had nothing left to give, when I was depressed, so If I Die Young really told me something about myself, that I shouldn’t give anyone the pleasure of just mourning me for being young. As for what I’m looking forward to this book, is the fact that Avie is doing something that her heart desires. I think that she can be a potential character for strength. Well since I never heard the other songs, I liked If I Die Young. Also, I like Band Perry and I’ve been listening to this song before. I also like the part that says, “funny when you die how people start listening”. Because that’s true–people will only remember or notice you when you die. Love this soundtrack! And the reasons behind each song choice are so intriguing! Try by Pink is currently one of the songs on loop on my playlist. This song speaks volumes. It’s a reminder for Avie for her to try. to try something new. Something fearless. The plot is interesting as well. Oh wow, these songs are really on the other side of the happy spectrum. It’s my first time to hear of this novel so I don’t really know much but with the plot, I think these songs fit the bill. As much as I love Pink’s Try, because it really has such lovely lyrics, I have to go with a band I’ve followed since my highschool years: Death Cab for Cutie’s I Will Follow You Into The Dark. The first few kyrics sounds morbid but the message remains, a man who will go to whatever lengths just to be with the one he loves. And who doesn’t want that (creepy stalkers exempted)? Definitely “If I Die Young” by The Band Perry. It’s such a beautiful song. My favorite song from the playlist is “If I Die Young”. It’s such a meaningful song!